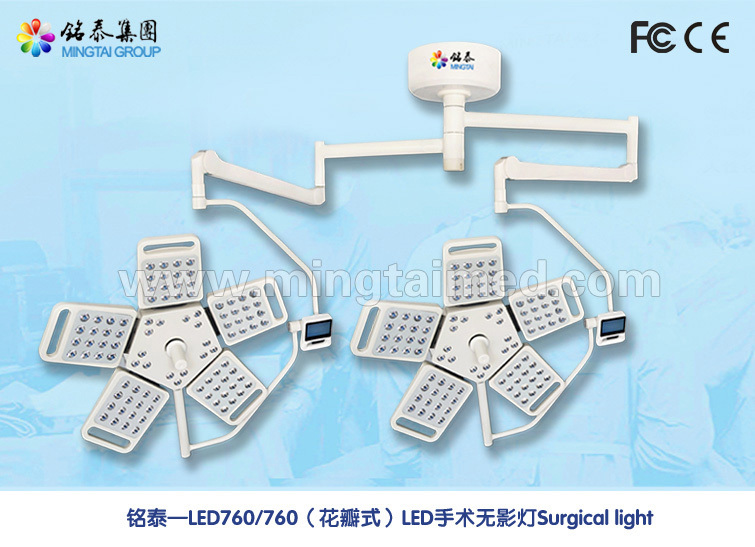 Mingtai LED760/760 petal model Surgical Lamp shadow will be diluted by light, and light`s symmetry can have a prefect control to shadow, no matter where the operation position is. It owns t o the overlapping light technology. The 2 surgery light head illuminance are the same, it is 180,000Lux. It color temperature is 4300K. Looking for ideal Double Dome Surgical Lamp Manufacturer & supplier ? We have a wide selection at great prices to help you get creative. All the Operation Theatre Light are quality guaranteed. We are China Origin Factory of Shadowless Operating Surgical Light. If you have any question, please feel free to contact us.